Success! Your message is on its way to GEEPEEKAY! 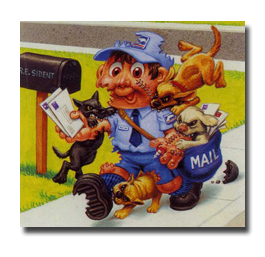 Whether it's because I've made a boo-boo on this site, or if you have a question, or if you just want to shoot the breeze and talk about Garbage Pail Kids...don't hesitate to drop me a note! And rest assured that Gnawed CLAUDE will make sure your message arrives safely! !